Should You Take One For The Team? “Falling housing market.” “Possible recession.” “Troubled economy.” These phrases have been buzzing around lately in the media. Real estate prices were going up and many people decided to buy more house than they could afford with unconventional mortgage terms. Now the house prices are falling in many areas and people can’t keep up with their rising mortgage payments and plunging equity. Many fear a recession. People aren’t spending as much money because they are trying to pay their mortgage. Time for the government to step in, right? The government has been urging people to go out and spend money to get the economy going. They are sending the message by lowering interest rates on loans, hoping to encourage people to get new mortgages, refinance old mortgages and acquire new auto loans. And with that interest rate drop, along comes our savings rates. Lowering the yield people receive on their savings accounts seems to discourage people from saving. So the economy is bad. So they are trying to prevent a recession. Does that mean that spending rather than saving right now is the right thing for you to do? The answer depends on your personal financial situation and not the condition of the economy. The government would like you to think that spending money will help the economy and save the country. But the fact of the matter is if you have credit card debt and you don’t have an emergency fund, spending money will have a bigger negative impact on your own financial situation than the perceived negative impact that not spending money would have on the economy. So do you take one for the team and go out and spend money you probably shouldn’t spend? Here’s what I think – though I am no expert on the economy: I personally believe that our country is better off with the majority of our citizens out of debt and a funded savings account for emergencies and unexpected expenses. I believe that more responsible financial habits will eliminate the need for many who are currently on welfare and receiving government assistance. (I say many because I understand that there are those who may still genuinely need the help and that is fine.) By cutting down on the amount of interest people spend on credit card debt and various loans, people will actually have more money to responsibly spend in the economy as well as more money to invest into that same economy. The government recently decided that everyone will receive a tax rebate this year to “help” people go out and spend money in the economy. Extra money is always nice, right? The wonderful thing is that the government can advise us on what to do with the money, but they can’t force us to do anything with it. I’m going to go out on a limb and say that the majority of people shouldn’t spend their tax rebate. I sincerely hope that many people out there with major debt and/or no savings consider using their tax rebate wisely – in a way that will best help their personal financial situation – by paying down debt and increase savings. Those who have already paid off their debt and have their emergency fund stocked – go out and spend your rebate – if that is what you want to do. I mentioned the concept of saving extra money you receive for later times when you may be short in a previous article that I wrote (Prepare For Your Financial Winter in Times of Plenty). This tax rebate is a perfect example of extra money coming in. I sincerely hope that some people out there decide to do what is best for their finances and their future and become the kind of person that TRULY helps our economy in the future and not just someone who spends money to help the short term of things, but neglects the long term of their own financial picture. If you haven’t heard, the government is devising an “economic stimulus package” to jump start the economy. While the details aren’t yet final, it appears that the majority of American workers and retirees will be getting some rebate money from Uncle Sam. The latest figures to be tossed around are $1,000 per couple, $500 per individual and $300 per child. I am not excited about receiving my rebate check. Why? Why wouldn’t anyone be excited about free money? First of all, I’m very aware that this is not “free” money. Uncle Sam is going to want it back at some point. It’s unclear at this time whether or not we’ll be expected to report this on next year’s taxes as “income,” increasing the amount we’ll owe. If Uncle Sam doesn’t collect next year, at some point taxes will have to increase to repay this stimulus plan. You don’t just hand out $193 billion (especially when the country’s debt load is already in the trillions) and not expect that back at some point. At some point, the budget will have to be balanced and you can bet that the government is going to come looking for that “free” money they gave you. Second, I don’t like the attitude that comes with this rebate. 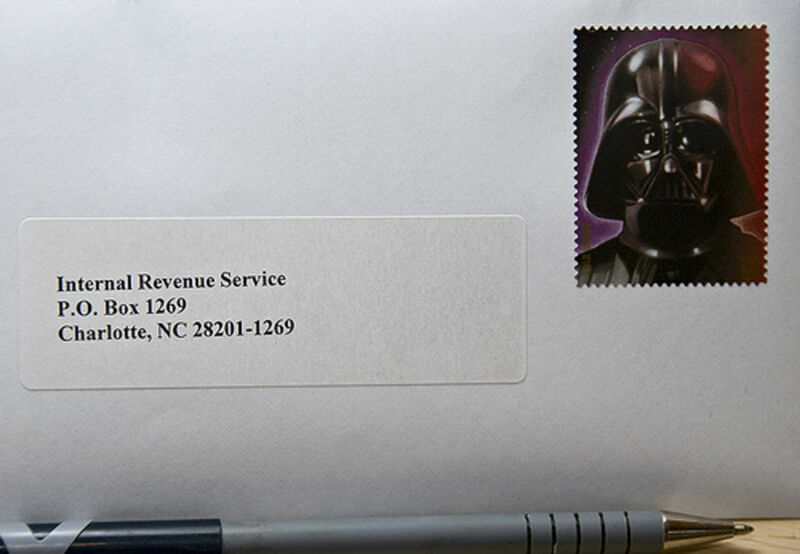 The government is urging us to spend the money as soon as it lands in our mailboxes. You’re downright unpatriotic if you don’t spend it. You’re not doing your part, they claim. 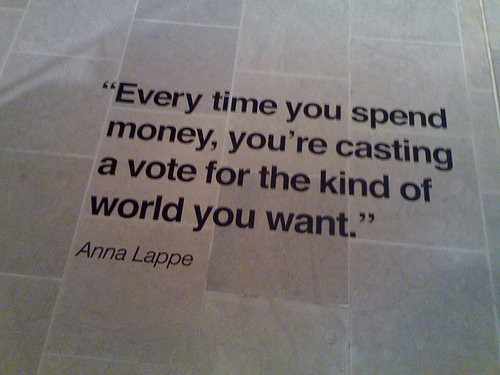 Do your part, spend the check and save the economy. Not one word has been uttered about saving it or using it to pay down debt. All I’ve heard is that we should all go out and make a purchase that we would not have otherwise made. Um, just thinking out loud here, but isn’t spending everything we make, as soon as (or before) we make it, part of what got the economy into this mess in the first place? Wouldn’t it be wiser for the government to advocate that citizens take some of that money and reduce their debt or save it to ensure their futures? These actions help the economy too, although more in the long term than in the short term, which is all that politicians in an election year care about. These politicians want to, by November, be able to claim that they saved the economy by passing this rebate plan. That can only happen if we spend the money. If we save it or pay down debt, some politician ten years from now might be able to say that the economy is better off thanks to the rebate plan of 2008, but who will care then? Don’t get me wrong. If you need the money to cover basic expenses or tackle some other much needed project or expense then, by all means, spend away. Heat, food, shelter, and water are important. I just don’t like being told that, even though I have no need for the money right now, I should rush out and buy a new thing-a-ma-jig that I don’t need just to prop up the economy. And I definitely don’t like being called unpatriotic because I choose to save, rather than waste, money. If you’re giving me money, then it’s my choice what I do with it. While I think this will help the economy in the short term by getting people to spend, I would much rather see $193 billion go to something that might help the economy long term to get us away from this “spending is the only way to grow” mentality that we have. What about some job training or job creation programs? Maybe invest in programs that research, develop and produce alternative fuels — if we could get a serious alternative fuel industry going it would create jobs. Why not spend the money to help bring manufacturing back to this country? That would create a lot of jobs. Why not invest in infrastructure? That would create jobs that get people out there designing and building better roads, water systems, and power systems. It just seems to me that there has to be a better way to spend this kind of money, ways that would help us farther down the road, rather than putting a Band-Aid on the economic problems in this country. So what will I do with my rebate check? I’ll either drop it into my IRA or into my emergency fund so that I can draw on it later. That way, when Uncle Sam decides he wants the money back in the form of higher taxes, I’ll have it to give. Just call me unpatriotic.